New Belgium’s La Folie has become one of my favorite beers. The first time I had it, I didn’t know what to think. I could tell that this was an amazingly complex beer, but I wasn’t ready for the amount of sour that was coming my way. To me, it was like drinking vinegar. It wasn’t until I began drinking other lesser sour beers, and learning of how La Folie is made, that I began to understand, respect, and ultimately, enjoy this beer. – La Folie is a technically a lager. Before the base beer is acidified, it is fermented with a lager yeast strain, making it a dry as possible. – Different oak fermentors of the base beer are continually being individually drained by different amounts to make different sour beers throughout the year. As a result of this, the beer that is being used to blend and create La Folie is already between one and four years old. 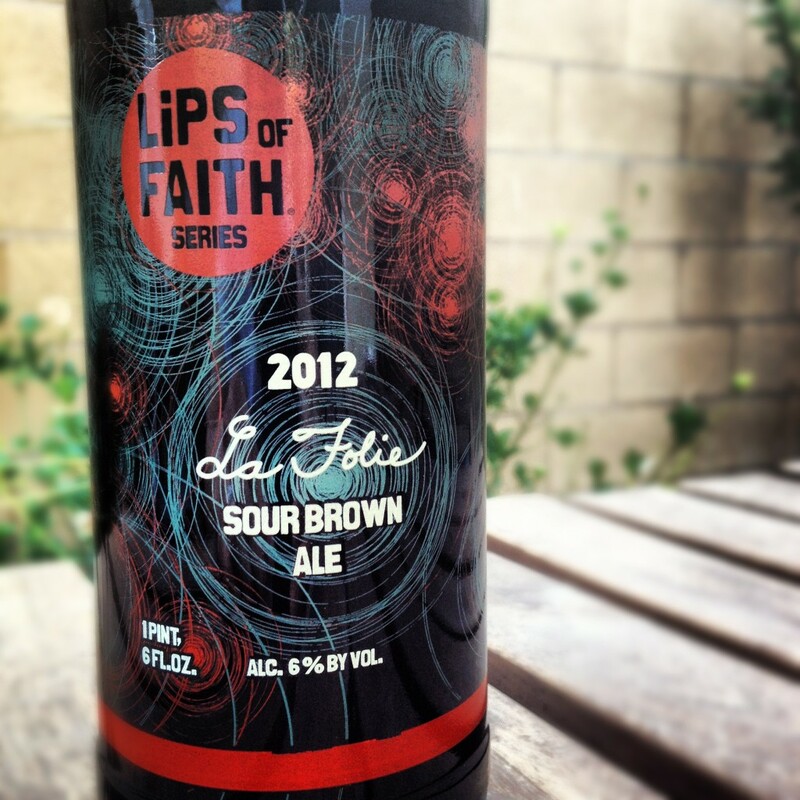 – Because La Folie is a blend of aged sour beers, Lauren doesn’t recommend aging the beer. In her mind, she already did the aging for you. – La Folie is pasteurized, meaning that after it is blended, the beer is heated to kill all living bacteria in the beer. The idea behind this is that the beer is frozen in time in it’s ideal form. The next time I had a bottle of La Folie, it was an entirely different experience compared to the first time. I could taste the flavors of cherries, red wine vinegar, leather, oak, and green apples. It was like a sweet berry fruit dipped in a balsamic reduction. The bright, clear color was amazing to look at. 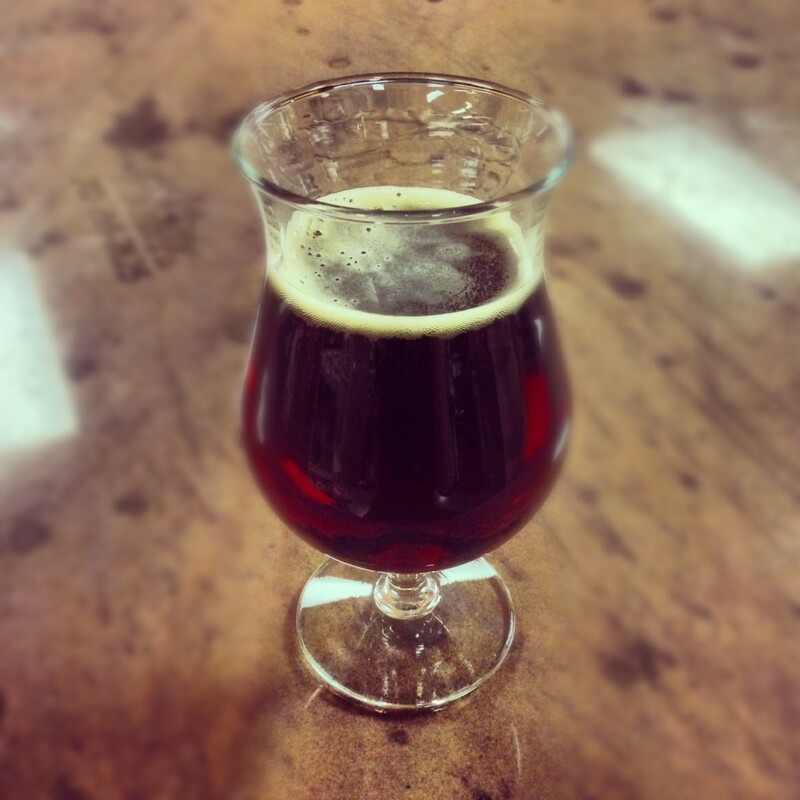 This past Wednesday, Khoury’s Fine Wine put a keg of La Folie on tap. Keg beers need to be kept a fairly cold temperature to balance the carbonation and to keep the beer from getting too foamy. If you order this beer on tap, be sure to let it sit for a few minutes to warm up. Wrapping your hands around the glass helps with this. If the beer is too cold, most of the flavor is hidden; as it warms it will start to open up. 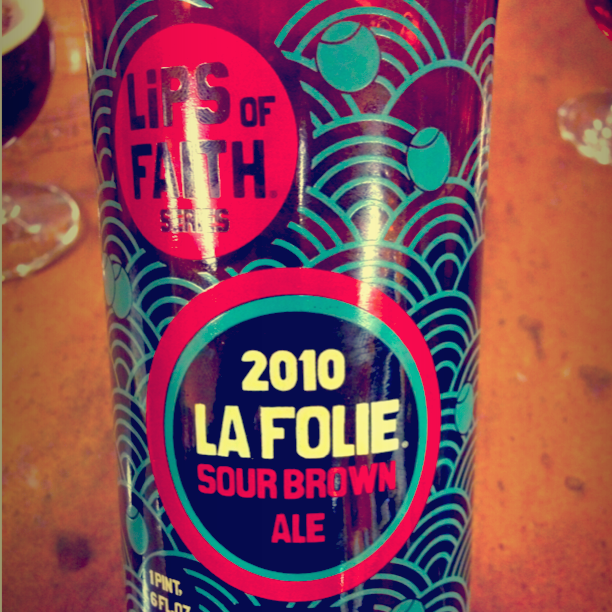 Despite Lauren’s advice, New Belgium was selling 2010 bottles of La Folie during GABF week. Danny picked up a bottle so we could compare it with the keg at Khoury’s. The beer had some of the obvious signs of oxidation in the aroma and aftertaste. However, rather than being a deterrent, it complimented the sourness of the beer. It seemed to reveal a more berry like flavor. The sourness was still very present, if not more so. Your own preferences will determine which one is better. Danny preferred the aged version. I liked the cleaner, fresher version. Regardless, both were delicious, and trying the two side by side was a great experience. As much as I love this beer, it is difficult for me to recommend it. It truly is a one of a kind beer, and as such, is not for everyone. It really takes an open mind and a previous experience to sour beers to keep this from being an overpowering shock.